Is learning to coach worthwhile? What could you achieve if you learned how to coach? What impact could you have on the performance of others? On yourself? How much will you benefit from learning to coach? Coaching is a subject about which much is written, but little is said that is useful. After decades of coaching, we have been able to identify the key principles; those actions that make a difference, those approaches that serve, and the techniques that are worth learning. They are documented in The Perfect Coach. How do you learn to coach? It is a question most people don’t feel the need to ask. Why? Because it assumed that a training course is required when learning to coach. Is it? Throughout the ages a number of people in each generation have figured out for themselves how to coach. You may be one in the current generation, IF, you have spent a lot of time thinking about how to bring out the best in others. In which case, you will need little if any training, but may benefit from reading a few books or listening to a few audio programmes, just to reassure yourself that you do understand the key principles. If you have spent your time learning about skills other than coaching, you can save a huge amount of time by reading or listening to the thinking of other who have already invested the time. Coaching is NOT teaching, instruction or training. The coach does not have to be a expert in the field being coached. Coaching is not managing. The coach has no responsibility for the performer’s behaviour. How can a coach, coach unless s/he is an expert? 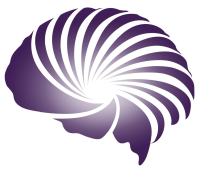 A highly effective coach gets the person they are helping to do all the thinking. If they are not, then what they are doing may have an element of coaching, but it is probably more training or instructing. Expert coaches can coach any subject, even if s/he knows nothing about it. Novices or non-coaches protest vigorously at that observation. Why? Novices have a different understanding of what coaching is. A coach is someone available for the performer to learn WITH. to identify and remove internal barriers to achievement. Where can you get the insights about learning to coach? 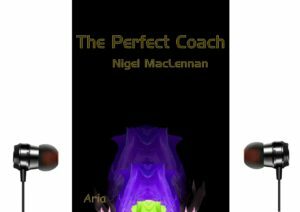 Click the image below to hear the audio sample of The Perfect Coach.